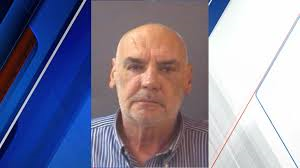 (Richmond, IN)--Criminal charges have been dismissed – again – against three people who had been charged in connection with the now-closed Dorn Clinic between Richmond and Centerville. Dr. Larry Ley and Yvonne Morgan were charged two years ago after allegedly illegally distributing Suboxone. Charges were dropped once. Then, an appellate court ruled the charges could be reinstated. They were. But now, they’ve been dropped again. Motions to dismiss were filed this week in Wayne Superior Court II.